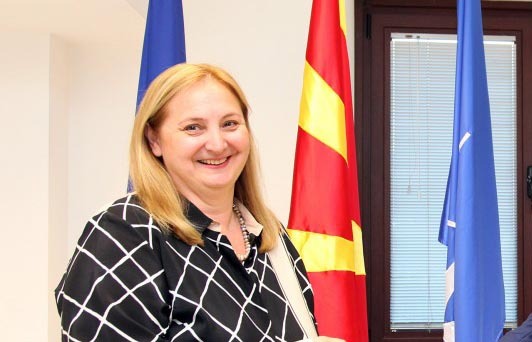 Тhe Austrian Ambassador to Macedonia Renate Kobler praised the progress Macedonia has made in the processes for integration in the European Union. The Austrian Ambassador attended the session of the Parliamentary Committee for European Affairs on occasion start of the Austrian Presidency with the EU. “You’ve never been closer to the EU than today. Your country has still a lot of work to do. Clear date has been set for you, a lot of hard work is ahead, let’s do it together. The Austrian presidency will strive to produce concrete results to bring the Western Balkan countries closer to the EU and keep up the good work from the Sofia Summit. For us, it is an incentive to maintain the positive reform momentum, the political duel and to walk hand in hand on the road to the opening of EU negotiations,” said Kobler.